----Notice to Aboriginal and Torres Strait Islander people: This article contains the names of people that have died. Figure 1: Gosse's Bluff, called Tnorala by the Western Arrernte. Image by Georg Gerster. 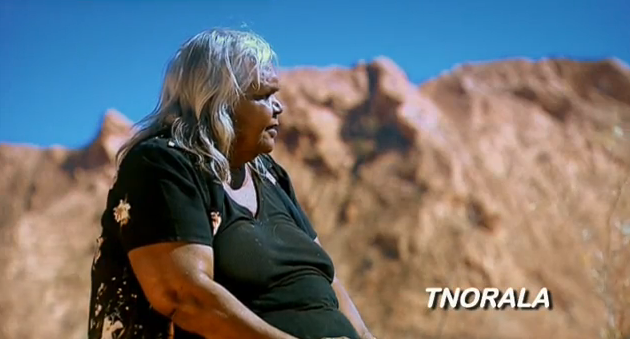 Figure 2: Arrernte Elder Mavis Malbunka talking about Tnorala. Aired 19 July 2009 on ABC's Message Stick. Click here to see the video clip. "We tell the children don't look at the evening star or the morning star, they will make you sick because these two stars are still looking for their little baby that they lost during the dance up there in the sky, the way our women are still dancing. That coolamon, the one the baby fell out of, is still there. It shows up every winter." 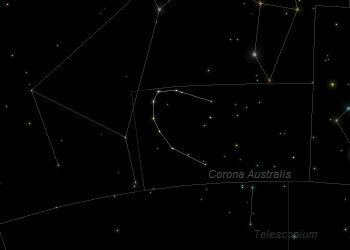 The coolamon (Figure 3) is the constellation Corona Australis, the Southern Crown. Figure 3: A coolamon from Central Australia. Image from www.tribalworks.com. Mavis warns visitors to "Be careful at night. These two stars are looking for their child, Tnorala." Still today, that evening star comes at night with big lights. The white man call it Min Min light, but we know it as the bright light of the mother looking for her child”. There is a long history to Tnorala that goes well beyond the stars. Cosmic impacts, murders and land rights are a component of Tnorala’s turbulent past. To learn more, watch the full video, which you can purchase from the CAAMA. We respectfully acknowledge the Arrernte people and the custodians of Tnorala, Herman and Mavis Malbunka. Figure 1: Gosse's Bluff, called Tnorala by the Western Arrernte. Figure 2: Mavis Malbunka talking about Tnorala. ABC's Message Stick, 19 July 2009. Click on the image to see the video clip. "We tell the children don't look at the evening star or the morning star, they will make you sick because these two stars are still looking for their little baby that they lost during the dance up there in the sky, the way our women are still dancing. That coolamon, the one the baby fell out of, is still there. It shows up every winter." The coolamon (Figure 3) may actually be the "galactic bulge" - the largest and brightest region of the Milky Way, which represents the center of our galaxy and looks similar in shape to a turna or coolamon. It is seen in the region bordering Sagittarius and Scorpius and is prominent in the winter night skies (see Figure 4). The motif of the dancing stars (women) may be attributed to the Phi Sagittariids, a meteor shower that radiates from the center of the galactic bulge between 1 June and 15 July, when the Milky Way is high in the winter night sky (although this is speculative). 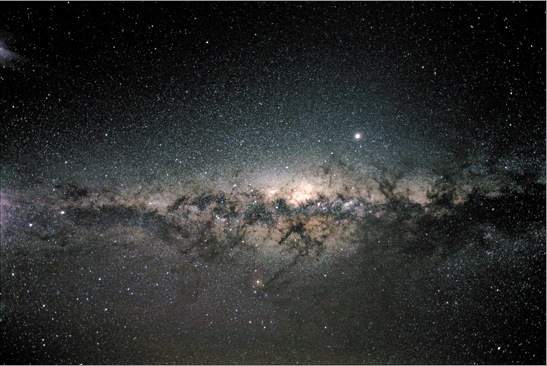 Figure 4: The galactic bulge in the Milky Way as seen from Victoria, Australia. Image by Dr. Russell Cockman, reproduced with permission (http://www.russellsastronomy.com/). In the previous post, I discussed Arrernte oral traditions relating to the Henbury crater field in the Central Desert. 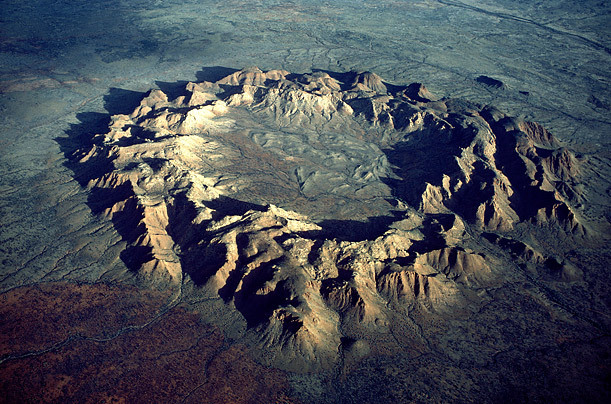 Let us now travel 175 km west of Alice Springs, where we see 5 km-wide ring-shaped mountain range that stands 150 metres above the desert, representing the remnant central uplift of an eroded 22 km-wide complex crater (Figure 1). The scientific explanation is that this structure formed from a comet impact some 142.5±0.8 million years ago. Over that time, the land eroded down almost 2 km in thickness. What we see today as the mountain range is the result of differential erosion, meaning the shocked stone is denser and eroded less than the surrounding landscape. The Western Arrente call this place Tnorala and consider it sacred. Arrernte Elder Mavis Malbunka (Figure 2), wife of Herman Malbunka, the Traditional Custodian of Tnorala from Ntaria (Hermannsburg), explains the origin of Tnorala in Arrernte traditions and its importance today. "We tell the children don't look at the evening star or the morning star, they will make you sick because these two stars are still looking for their little baby that they lost during the dance up there in the sky, the way our women are still dancing. That coolamon, the one the baby fell out of, is still there. It shows up every winter." The coolamon is the constellation Corona Australis - the Southern Corwn. It is seen just below the Milky Way and is prominent in the winter night skies (see Figure 4). 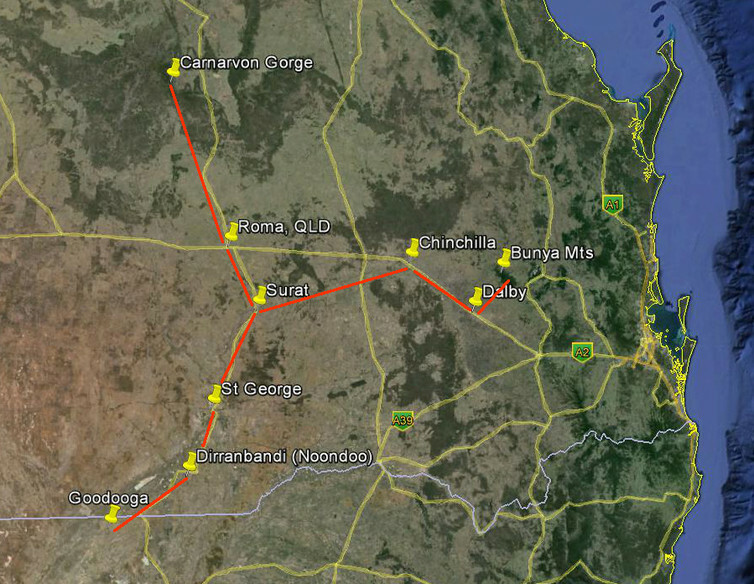 Figure 3: A coolamon or turna. Australian Museum. Figure 4: Corona Australis, the Southern Crown. Frosty Dew Observatory. There is a long history to Tnorala that goes well beyond the stars. Cosmic impacts, murders, and land rights are a component of Tnorala’s turbulent past. To learn more, watch the full video, which you can purchase from the CAAMA. Euahlayi Lawman and Knowledge Holder, Ghillar Michael Anderson shares some of the ancient wisdoms of his Peoples' connection to the universe. 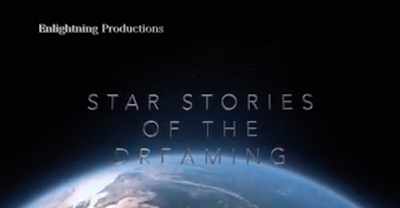 He also speaks with a leading astrophysicist, Professor Ray Norris, as they compare the similarities between astrophysics and Stories older than time itself. Based on research by Robert Fuller. Location northwest NSW - north of Goodooga. This article was originally published in The Conversation on September 21, 2015 6.09am AEST. Plans to build a new telescope on Mauna Kea in Hawai'i have led to months of protests and arrests, including several earlier this month. The ongoing protest pitches astronomers against Hawaiians wanting to protect their sacred site. Conflict between Indigenous and Western interests are part of a long history of colonisation and exploitation. In the Amazon, indigenous communities are fighting governments that exploit the rain forest for natural resources. In the United States and Canada, First Nations people are battling mining and oil interests. In Western Australia, Aboriginal people are finding their 30,000 year old rock art sites being deregistered as sacred because they must be “devoted to a religious use” rather than be “a place subject to mythological story, song, or belief”. Many of these sites are in areas of industrial expansion. If the traditional custodians of the land reject proposals for development, they might face aggressive legal action. “No” is rarely a good enough answer for those exploiting the land, and seeking permission from indigenous people often smacks of tokenism rather than a real attempt to address the wrongs of the past. Unfortunately, it is not just economic interests that put pressure on indigenous communities. Scientific interests prove another challenge to indigenous land rights. One such case is the development of the Thirty Meter Telescope (TMT) in Hawai'i. On Hawai'i’s Big Island stands Mauna Kea, a dormant volcano towering 4,200 meters above sea level. Its high elevation and excellent atmospheric conditions make it an ideal place for astronomers to observe the stars. Mauna Kea is named for the god Wakea, the “sky father” – Mauna a Wakea. It is Hawai'i’s most sacred place. It is important to note here that only people of Indigenous Polynesian Hawaiian heritage are called “Hawaiian”. Non-Indigenous people born in Hawai'i are called “Kama'aina” meaning “child of the land”, or “people of Hawaii” in general conversation. Hawaiian reverence for Wakea meant that in ancient traditions only the Ali'i (high chiefs) were allowed to climb to its summit, where their most sacred ancestors are buried. It is here that astronomers plan to build a US$1.5-billion telescope with a primary mirror measuring 30 meters across. The TMT offers potential scientific discoveries as well as economic benefits for the island. Currently there are 13 telescopes atop Mauna Kea but many Hawaiians are angry about the push to add more telescopes to the mountain, insisting enough is enough. A resurgence of Hawaiian culture and language has led to the reclamation of sacred sites, including Mauna Kea, as areas of high cultural significance. Hawaiians wanting to preserve their cultural heritage are now clashing with proponents of the TMT. In recent months, protesters have blocked access to the mountain, halting development of the telescope. 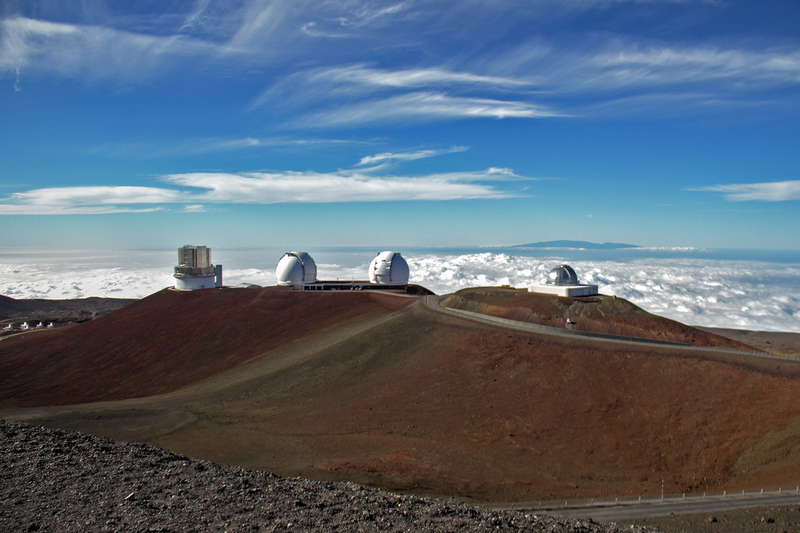 Should astronomers be allowed to build the TMT on Mauna Kea? This question raises concerns that we, as practising astronomers, see as a reoccurring issue within the scientific community. It is disheartening and frustrating to witness fellow scientists dismiss the connections indigenous people have to their land. We cannot simply disregard these connections as myths and legends, and comparing TMT protesters to Biblical Creationists is disappointing. This is not a battle between religion and science. Hawaiians are not anti-science; they are not trying to push their traditional beliefs on others nor are they trying to stifle scientific and economic advancement. They simply oppose construction of yet another telescope on their sacred mountain. We need to recognise and respect the close connection Hawaiians have to sacred sites like Mauna Kea and not misappropriate Hawaiian astronomical traditions for the benefit of astronomers. The TMT demonstrates a microcosm of the challenges indigenous people face when their traditions are dismissed by Western interests for intellectual or economic gain. We acknowledge that some Hawaiians do in fact support the TMT, while others are calling for the removal of all telescopes. Governor David Ige offered one compromise: the removal of a quarter of the existing telescopes before building of the TMT commences. We do not have a convenient solution to this issue. So how do we move forward together? We can look at successful collaborations between scientists and indigenous people on other projects for guidance. The development of the Square Kilometre Array radio telescope in Western Australia was a result of close collaboration and ongoing consultation between astronomers and the traditional owners of the land. We can take inspiration from the Polynesian Voyaging Society and Hoku'lea – the Hawaiian voyaging canoe. By working closely with artisans, navigators, astronomers, and historians, Hawaiians are reclaiming their ancient knowledge and in turn are sharing this with the world. These two examples suggest nurturing mutually respectful relationships is the key to overcoming conflict. This is a highly complex issue. We astronomers need to acknowledge that we do not have an inherent right to develop Mauna Kea. And if a consensus cannot be reached we must be willing to consider a different home for the TMT. 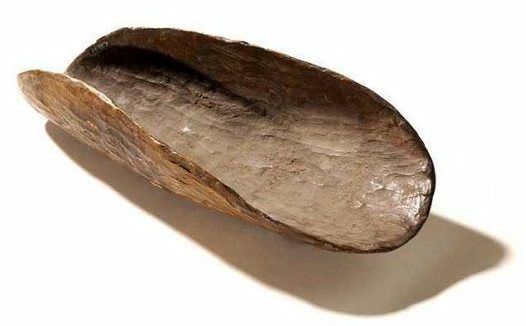 Early ethnographers and missionaries recorded Aboriginal languages and oral traditions across Australia. Their general lack of astronomical training resulted in misidentifications, transcription errors and omissions in these records. In western Victoria and southeast South Australia many astronomical traditions were recorded but, curiously, some of the brightest stars in the sky were omitted. 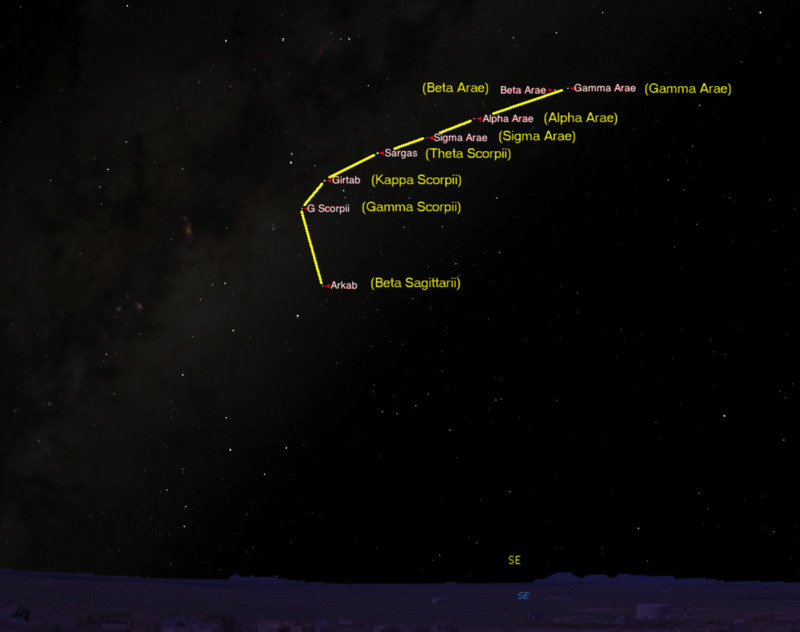 Scholars claimed these stars did not feature in Aboriginal traditions. 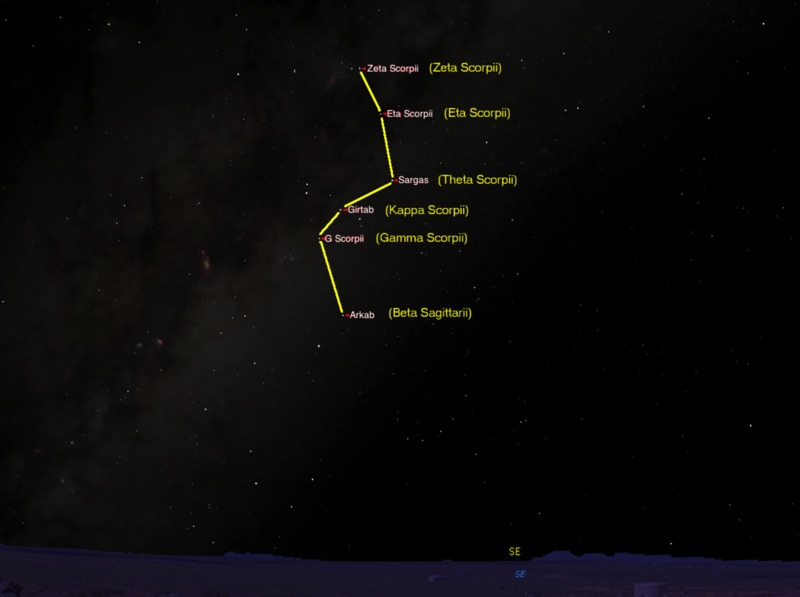 This continues to be repeated in the literature, but current research shows that these stars may in fact feature in Aboriginal traditions and could be seasonal calendar markers. 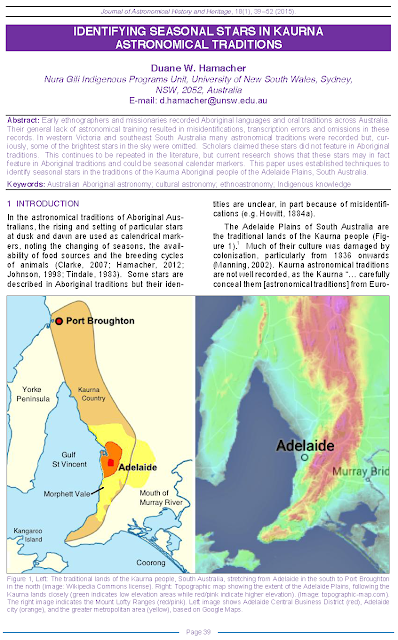 This paper uses established techniques to identify seasonal stars in the traditions of the Kaurna Aboriginal people of the Adelaide Plains, South Australia.